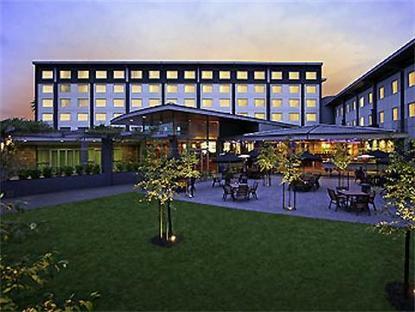 Novotel Ellerslie is one of the best 4 star accommodation and conference venues in Auckland. Ideal for business trips, the hotel is conveniently located adjacent to the Ellerslie Events Centre, just a 15 minute drive from the centre of Auckland and 20 mi. nutes from the airport. The hotel features a range of conference facilities for meetings and seminars for up to 360 delegates. Enjoy a drink at the bar or a meal at our award winning restaurant. Complimentary parking is available for your convenience.